Our opening hours for the Fall term are now posted at the Law Library’s webpage. 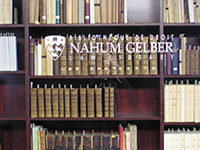 From May the 1st to September the 2nd, the Nahum Gelber Law Library will be open 10:00 – 18:00 Monday – Friday. Please remember, that only the users who have requested and have been granted the “after hours access” will be able to stay at the Law Library after 18:00. You can always check our schedule at the Law Librarie’s webpage. Access to the Law Library after 6:00 p.m. I would like to remind you that you need your McGill ID card to access the Law Library during study hours when our services are closed, i.e. after 6:00 p.m. You can find more information about our hours here.